Palagianello is the smallest town of the eastern area of the province of Taranto. In the past it was a suburb of the nearby town of Palagiano. It is situated at 331 metres above sea level and it is part of the Regional Park of the Gravine. In the Cleft (Gravina) of Palagianello there are traces of inhabitants since the Palaeolithic ages but further traces conduct only to the late Middle ages . There is the presence of a rocky settlement with rests of churches, hamlets and a necropolis. Between the most important the cript-church of Saint Nicola. 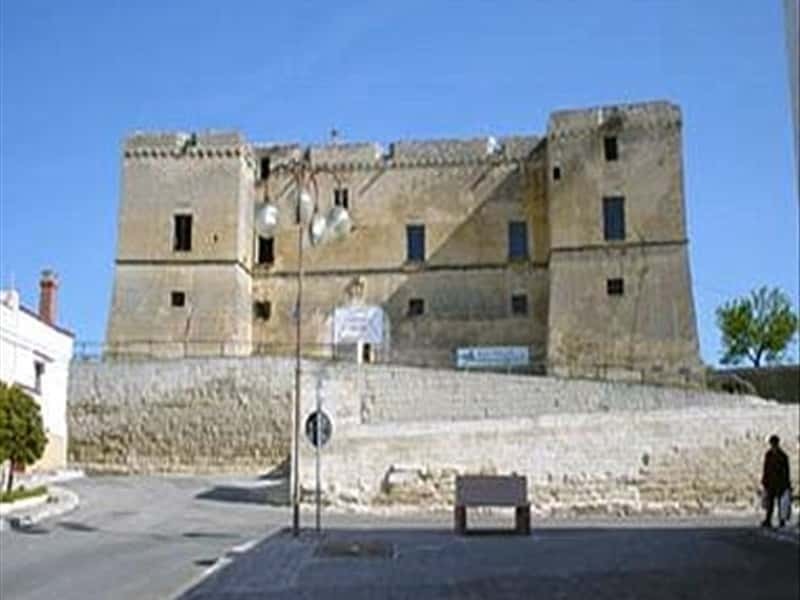 The whole town centre is known with the name of the Castle built in the first half of the XV century, refurbished by the Caracciolo when they became the lords of Palagianello in the XVII century. Not to miss the small church of SS. Eremiti. This town web page has been visited 16,677 times.